LET'S HAVE FUN together ! Are you rather Teambuilding, Incentive, Animation or Company Parties ? Our team prepares you the best in any case ! What is the purpose of your seminar? Create a link, increase your team's cohesion, creativity, curiosity, analytical spirit, decision making, performance, and all that in a fun spirit? 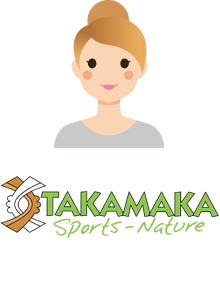 Takamaka Paris organizes the activity you need. Often unifying but also involving, activities allow to meet employees who do not always know each other. In a fun and friendly atmosphere, it's even better ! In the heart of the capital, we strive to make you moments of exceptions. All year round, thanks to our offices located in the middle of Paris, in the Republic, our team welcomes you and builds with you an event worthy of your desires for your Paris seminar. Anxious to guarantee the best to your teams, we put our passion at your disposal. The unique expertise of Takamaka reserves you places of seminary in Paris but also its surroundings, evening atmospheres, and especially fun for your teams in a professionalism of relentless rigour. Our objectives are first of all to create links, to weld your teams but also to value your potentials. On an explosive animation of an hour such as the quiz company, on a half day of playful activity in Olympiad, the stay turnkey, we follow your wildest desires for your Paris seminar. With the support of our hotel network as well as receptive partner spaces, we facilitate your project. True support for your turnkey seminar, our team will accompany you in the organization of your stay. Field specialists, our instructors share with you their passion but especially their energy. On se jette à l’eau ? Faire du rafting près de Paris pour un séminaire, c’est le top ! Vous connaissez la Kin Ball ? Jeu d'équipe et de cohésion, la Kin Ball est un vrai team building venant tout droit du Quebec ! L'objectif ? Tous les membres d'une même équipe doivent toucher la balle avant que celle ci ne tombe par terre. Ne la laissez pas vous échapper ! L'activité du moment : La murder Party ! Que s'est-il passé au cours de la nuit ? Le château se réveille et découvre avec stupeur que la princesse Margaux est morte ! Inédit : Notre babyfoot géant fait son apparition ! Laissez la cohésion, la rapidité et la précision de votre équipe impressionner vos adversaires sur un tournoi de babyfoot géant ! A team of professionals available and responsive to build your project !